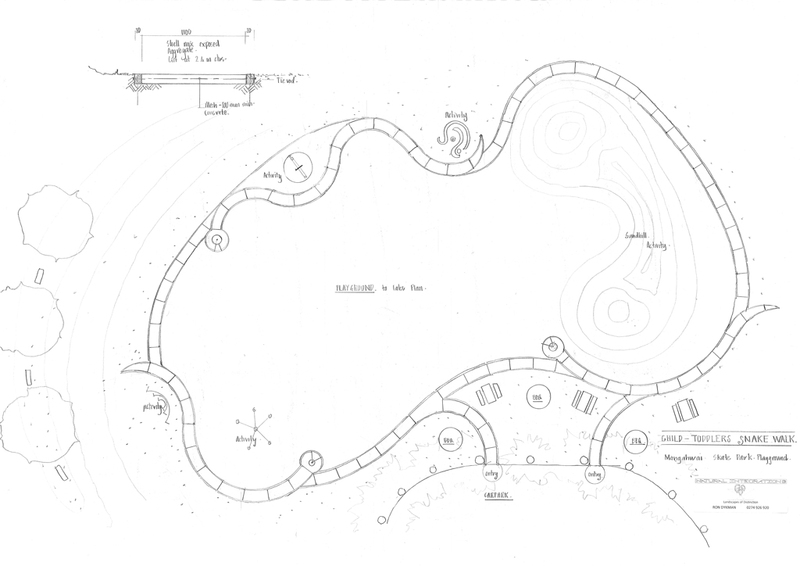 These are the plans for the snake pathway around the children’s playground area, which is being installed. The pathway is designed for parents to wheel buggies and strollers from the carpark, all around the small children’s playground. To all those who donated $40 for a named plaque these will be installed in the pathway. We aim to have this completed before Summer is underway! This entry was posted on Wednesday, September 25th, 2013 at 7:39 am. It is filed under Park Progress. You can follow any responses to this entry through the RSS 2.0 feed.